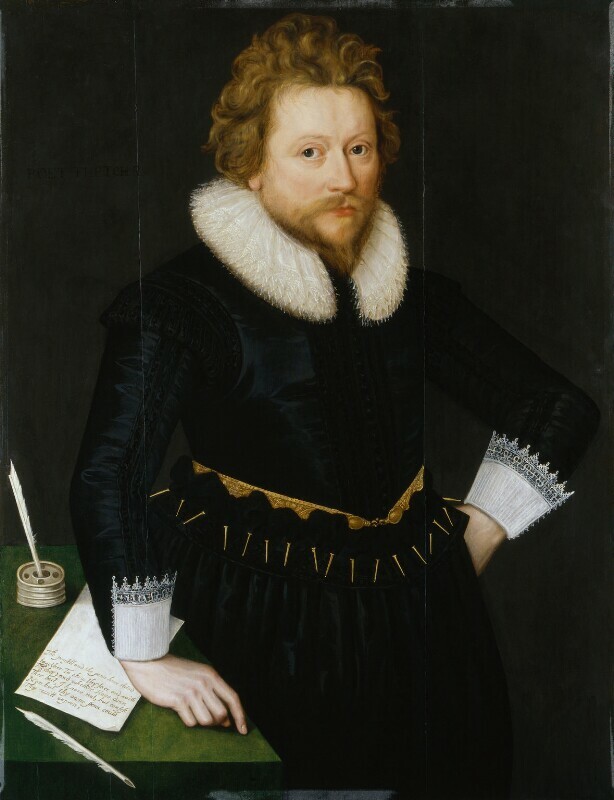 John Fletcher (1579-1625), Dramatist. Sitter associated with 14 portraits. This is the only known portrait of Fletcher from life. The verse written on the paper beside him pays a compliment to his wit and expresses conventional sentiments about the inability of painting, as opposed to poetry, to convey the mind of the sitter.